Hello, visitor, and thank you for your interest in the Order of the Arrow’s ordeal secrets. I am writing this message to you on July 1, 2016. It is the day that the Deseret News, Utah’s second-largest newspaper, published my column wherein I described this blog’s unusual status as the clearinghouse for all negative information on the Order of the Arrow, the Ordeal, and all secrets pertaining thereto. If you are reading this, my guess is you did a Google search using the keywords “order of the arrow ordeal secrets, order of the arrow ordeal,” or “order of the arrow ordeal ceremony.” According to my WordPress Dashboard, those are the top terms used to find my site today, and 108 people have already visited stallioncornell.com in response to those searches in the past eight hours alone. For whatever reason, this site has been chosen by Google as the go-to online resource for people looking to dig up dirt on the O of the A, an honor I did not seek but one which I have come to cherish, as I think this will be the only thing for which I will be remembered after I die. My guess is that you may be disappointed by what you find here, as I don’t really have any secrets to tell you. In my initial post on this subject, written almost nine years ago(! ), I referred to the Order of the Arrow as “a secret society within Scouting, one with secrets so secret that I can never reveal them, mainly because I can’t remember any of them.” So if you came to get the inside scoop, I’m afraid that my scooper is empty. Sorry about that. Anyway, enough about me. Let’s talk about you, and what your options are now that you’re here. So really, if you want to rip into me, have at it. To be fair, I think such comments make you look much more foolish than they do me, which is why I delight in calling attention to them. It makes me chuckle to see that an unusually large percentage of the O of A defenders don’t appreciate the irony of using rude and bullying comments to criticize my complaints of O of A rudeness and bullying. It also amuses me to no end that so many champions of the Order think that the best way to defend the honor of their society is to repeatedly accuse me of being gay. Again, if that’s the route you want to take, I’m not going to stop you, and I’ll give you plenty of virtual rope with which to digitally hang yourself. But if you’re still reading this and haven’t wandered off in a huff of righteous indignation, perhaps I can provide you with some additional information that might prove useful as your prepare your scathing response to put me in my place. Many who have gone before you have launched assaults on me based on several of the premises I describe below, so perhaps you could learn from the folly of those who have gone before. Here a few things you ought to know. 1. My Order of the Arrow ordeal was well over thirty years ago. I can’t remember if it was 1981 or 1982 when I was first “tapped out,” but I am now a 47-year-old geezer far removed from the events I describe. Yes, this happened a long, long time ago in a galaxy two states away. 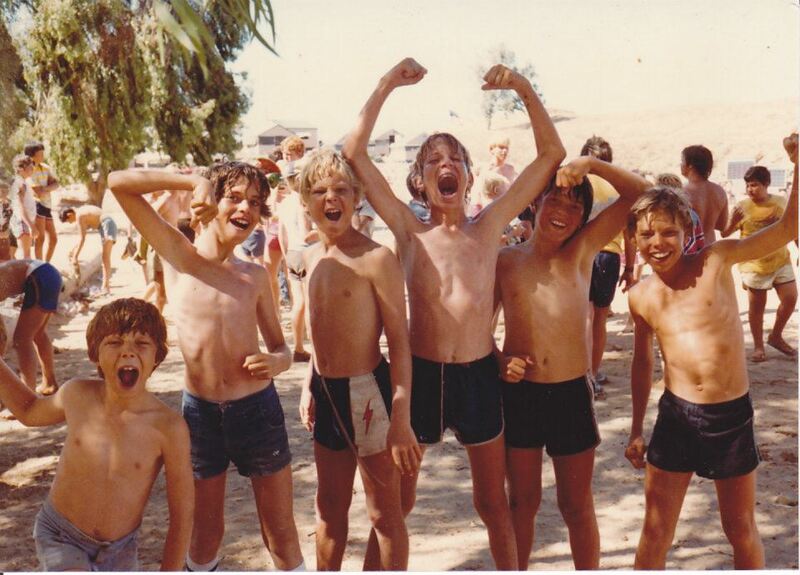 As a visual aid, here’s a picture of my scout troop taken from our 1981 summer week at Camp Emerald Bay on Catalina Island in California. Keep in mind that this was taken within twelve months or so of my O of A ordeal. I’m the goofy, awkward, and ridiculously skinny pale kid with the huge mouth in the center of the pic. I now have five children, four of whom are older than I was when this picture was taken. I therefore concede that the Order of the Arrow may well have changed over the course of three and a half decades, as many of you are quick to point out. 2. I have posted an accurate description of my own personal experience. So many of you feel the need to emphasize that you went through the Ordeal and had a positive experience. Perhaps you didn’t have to sleep on rocks in subfreezing temperatures, or didn’t have to boil an egg in a paper cup, or didn’t have pimply adolescents in loincloths and faux-Indian headdresses smacking you in the back of the head as you were led around by a rope in the dark of the night. Good for you! Well done. 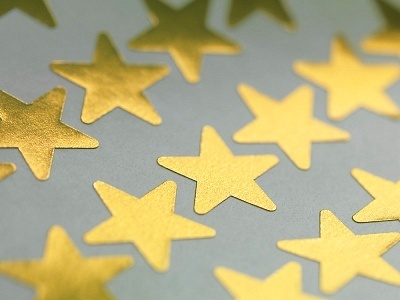 If I could, I’d give you a sticker with a gold star. But many of you don’t stop there. You somehow conclude that since your own O of A moment was the bee’s knees, then I must have been making all this stuff up. Nope. I didn’t make all this stuff up. This is what happened to me. Your own O of A mileage may vary. So as you start to tell me how much better it is now, please realize even if it is better now, that doesn’t mean I’m lying about what it was then. To date, the events I have recounted have not retroactively been altered by all the nifty things the Order may or may not have done since my Ordeal took place. One guy accused me of just “Googling” all this to tell a good story, which really makes no sense. After all, if I were to Google all this, this blog would be the first thing that comes up, so what would be the point? 3. No, I’m not going to take it all down. Many have told me that, since the 21st Century O of A is all sweetness and light and every hazing incident I endured wouldn’t and couldn’t happen nowadays, I therefore have a duty to expunge my posts from the Internet in order to avoid frightening potential O of A members, who, I presume, are a good chunk of the people who are poking around Google to find out what they’re in for. Not to be rude, but no, I don’t have any such duty. Quite the opposite, in fact. While I have had plenty of reports that the Order has mended its ways, I have also received a steady stream of thuggish insults from O of A members over the course of nine years, demonstrating that the O of A “Brotherhood” still churns out its fair share of clueless bullies. I am not convinced that such hazing no longer happens, and I’m certainly not convinced that such hazing “couldn’t” happen. Scott C. Kuperman alone seems all too eager to smack children in the back of the head. If my posts scare potential Brotherhood members, then maybe they’ll ask some good questions about the process, and the O of A will be required to answer them. I think that’s a good thing, and it’s the reason these posts aren’t going anywhere. 4. Yes, I’m a terrible human being. While admittedly not gay, and also not one who thinks it insulting to be called gay, I am, indeed, all the terrible and horrible things you could possibly think to label me. (Actually, truth be told, I was just an awkward kid who had no athletic skills and hated camping.) So, yes, I was a poor fit with the Order of the Arrow. And no, you’re right, I never got my Eagle Scout. 5. I have three sons, all of whom are currently Boy Scouts. But no, they’re not members of the Order of the Arrow. I don’t think there’s an active O of A organization where we live, but even if there were, they have no interest in it – not necessarily because of me, but because they really don’t have any time for it. My 15-year-old twin boys play high school and competitive soccer, and my 11-year-old son plays tennis and occasionally appears in school plays. (Maybe I’m his father after all.) The Order of the Arrow holds no appeal for them. 6. I am a Webelos leader and am (largely) free from O of A bitterness. This week, I spent two days up at Camp Tracey, the Webelos day camp in our area. I even wore a scout shirt on the first day, although admittedly not the second, as my shirt had gotten some dirt on it. The idea that I have devoted my life to tearing down the Order of the Arrow and am just too bitter to let it go is simply not accurate. If you think Order-inspired hatred is the center of my universe, kindly balance the number of O of A-themed posts with the other material I’ve posted here over the course of nearly a decade. I have a good life. I would be quite content to ignore the Order for forever and a day, but you guys keep yanking me back in to the conversation to tell me how awful and bitter I am. That said, it would be wrong to say I’m completely bitter-free. I had a really lousy experience with the Order of the Arrow, and I thought it appropriate to make note of it. If I think about it again, I come to the same conclusion – yep, it was lousy, all right. But I don’t think about it unless prompted, and you guys don’t seem willing to stop prompting me. So there it is. I expect this to be my last word on the subject. Although I also expected my post in 2007 to be my last word on the subject, too.